The size of lots is a big differentiator between the homes in Potomac, Maryland and nearby Bethesda. You get more land for your money. It is not hard to find a quarter acre lot. In contrast to the inner ring DC suburbs, where the housing stock has grown over many decades and so includes a range of styles and sizes, homes Potomac tend to be newer and much larger. 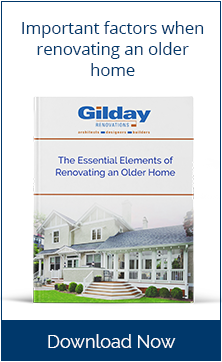 And these present an entirely different set of home remodeling problems to be solved. Although Potomac hosts a collection of classic 1960s and ‘70s-era split level ranch homes, they are more spacious than the typical tract home. Aside from the grand country estates built on multi-acre lots, there is a large collection of traditional style homes constructed in the 80’s and 90’s that are spacious and modern. The problems we solve for these homes modern era homes is the fact that the interior layouts can be dated and the bathrooms and kitchens —although usually spacious—can seem terribly dated to a 21st century homeowner. 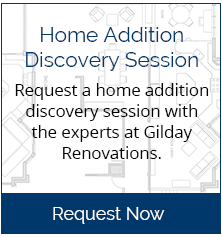 The home remodeling challenges faced by most Potomac residents rarely have to do with a lack of space. They center primarily around design: the need for updated interior styles and update interior layouts. That’s why it is vitally important to hire a design-driven home remodeling company with renovation architects, kitchen designers, and bath designers on staff. 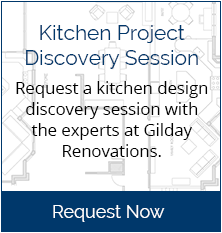 The driving force behind nearly every home remodeling project we do in the Potomac is the desire for a tastefully remodeled kitchen. Kitchen design techniques and kitchen product lines have changed so much since many Potomac homes were built kitchen remodeling will be well worth the investment. 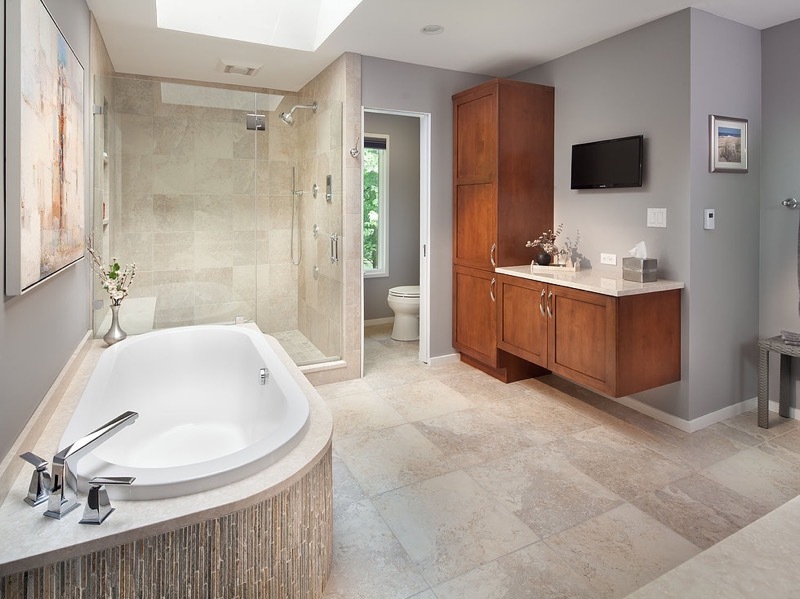 In most suburban Washington area homes, bathrooms tend to be small--but not so in Potomac. The homes built in th 80’s and 90’s all feature spacious master bathrooms. The problem is one of style: the colors, finish products, and fixtures are often dated--and most owners want them to be brought up to date. Unlike homeowners in the near suburbs of Washington DC, Potomac residents have less need for more space, but a great need for stylishly designed space. 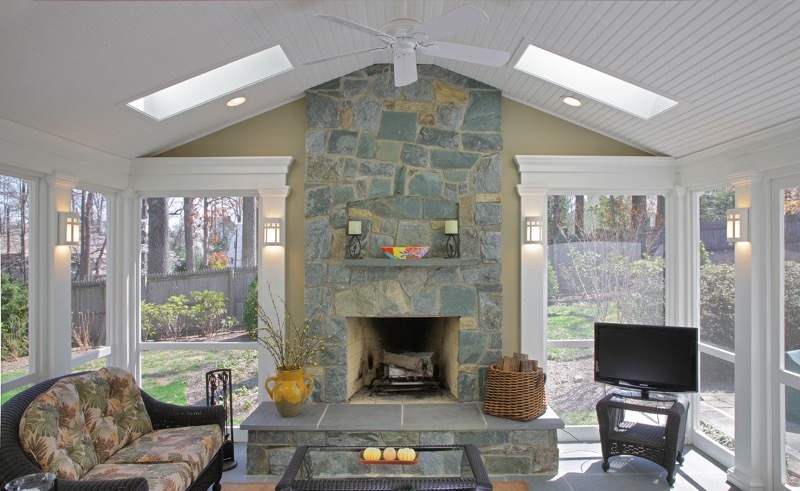 The most common home addition requested in Potomac is usually a porch or sunroom addition--a luxury rather than a necessity.